One Simple Question, primarily a sailing movie features commentary and insight from some of the most respected and well known names in cruising, voyaging and sailing, as well as arctic ice and climate scientists. Pam Wall raised her family aboard a sailboat, circumnavigated the world, voyaged across every ocean, cruised through the Caribbean, transited the Panama Canal, and sailed through the South Pacific. Her expertise has come from personal experience, a lifetime on the water, and years of professional service with West Marine and other major retailers in the Marine Industry. Pam travels around the country giving lectures at boat shows, schools, hospitals, yacht clubs, and other organizations. She talks about sailing, about responsibility, about empowerment, and the necessity of having dreams to work towards. 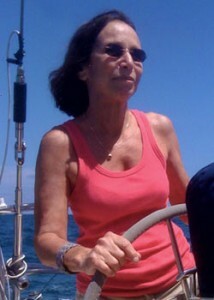 Her Seminars are perfect for advice and suggestions on numerous topics, including Bluewater Cruising, Family Sailing, or the Atlantic Circle. Pam Wall has become a byword in the community for smiles, laughter, and the joy of passing on information and encouragement to so many people. John Neal was born on the banks of Africa’s Blue Nile River. At the age of 22 he sailed to the South Pacific from Seattle aboard his 27′ sloop. Log of Mahina chronicled his voyage and adventures and became a best seller. John conducts Offshore Cruising Seminars since 1976. In 1990, to meet the demand for hands-on offshore instruction, John established Mahina Expeditions with the goal of sharing his knowledge of ocean voyaging in a safe and supportive environment. John has conducted 164 sail-training expeditions, sailing over 313,000 miles in the South Pacific, Caribbean, Patagonia, Antarctica, Atlantic, Scandinavia and the Arctic. Amanda Swan Neal grew up in Auckland, New Zealand and sailed to Vancouver as a teenager aboard a boat she helped her family build. Upon returning to New Zealand, she became a sailmaker and rigger. In 1990 she completed The Whitbread Around the World Race (now The Volvo Race) aboard Maiden, the first all-women Whitbread boat. Amanda’s 271,000 miles of international sailing include two Sydney-Hobart Races, numerous international regattas and seven Cape Horn roundings intermixed with a ten year involvement in tall ship sail-training. 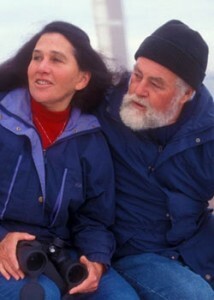 In 1994 she joined John aboard Mahina Tiare. She is author of The Essential Galley Companion and writes the monthly Galley Essentials column in 48 North magazine. Magazines Contributed to: Blue Water Sailing, Australian Yachting, Cruising World, Yachting World (UK),Cruising Helmsman (Australia), 48 North, Latitude 38, SAIL and Practical Sailor. In making this voyage, Yves says he was attempting to succeed at an art form combining many disciplines. “This was my performance,” he notes, ” . . . completing a circumnavigation, writing a book, making the film With Jean-du-Sud Around the World – available on DVD here, making the Cape Horn windvane, and sailing the boat.” His film won many awards even though the trip was not concluded as Yves had hoped. His Alberg 30, Jean-du-Sud, was rolled and dismasted in the Pacific Ocean, cutting the circumnavigation into two legs. 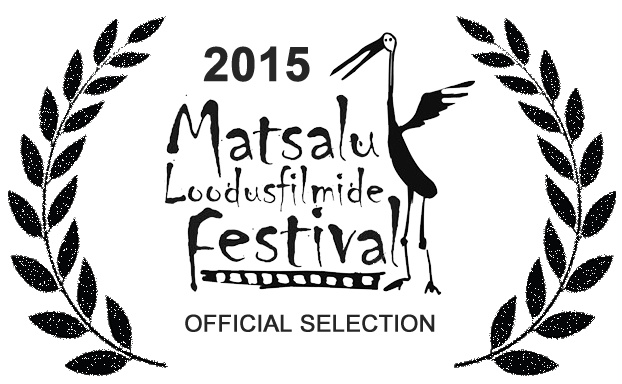 After repairing the mast (by himself and in the middle of nowhere, it should be noted) Yves concluded his trip – a total of 282 sailing days – and completed his film. The year was 1983. But his interests were no longer in filmmaking. This man was a sailor, an interest that led to a new career as the manufacturer and distributor of an integrated self-steering windvane of his own design – the one that had taken him around the world with no hand steering once he was outside of a harbor. Because of his own experience with it, Yves guarantees his CapeHorn Windvane for 28,000 miles or a circumnavigation. Whichever comes first. Lin and Larry Pardey have been called, ‘the enablers’. Their books and videos have encouraged sailors of all ages to stop dreaming and start doing. The knowledge they share has been earned during the four plus decades they have been voyaging together, years during which they completed both east-about and west-about circumnavigations past all the great southern capes, including Cape Horn. Lin and Larry have delivered more than two dozen boats across oceans and raced on their own and on other peoples’ boats. To date, each has sailed over 200,000 miles. Larry built the two boats they used for two circumnavigations. Both boats were under 30 feet (Seraffyn 24′, Teleisin 29′) and were designed by Lyle Hess (same designer as Elizabeth used in One Simple Question). Together they have written eleven books and created 6 DVDs. They inspired a huge following with their mantra “Go Small Go Now”. 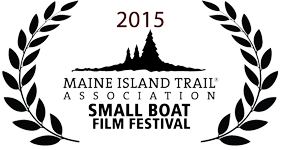 They advocate simple systems, minimal or no electronics, traditional rigging, and a do-it-yourself attitude. They travel the world giving seminars and workshops at boat shows and sailing schools. In a varied career, before becoming a full-time sailing writer Nigel worked on automotive assembly lines, in foundries and machine shops, and on offshore oil production platforms. He and his wife, Terrie, have built a couple of 70-foot canal boats (on which they lived in England), and a 39-foot Ingrid cutter. 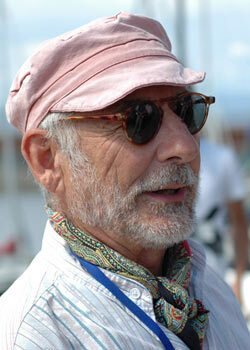 Nigel is an active speaker at The Cruisers University, boat shows, and other sailing schools. 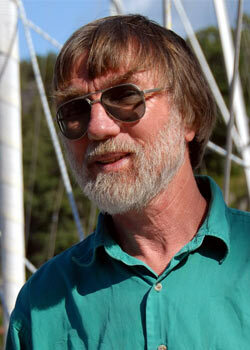 He currently sails aboard a Malo 42′ and is conducting research on electric propulsion aboard yachts. John has been sailing full time for over 30 years. During this run, he’s logged an incredible 300,000+ offshore miles, equivalent to 10 classic trade wind circumnavigations. He’s been as far south as Cape Horn, as far north as Sweden. And what makes his experience unique is that he has plied the oceans in a wide variety of sailboats. John has delivered hundreds of yachts of all sizes, and has conducted 97 new boat test reviews for Sailing Magazine, Cruising World, and Sail Magazine. His perspective on how certain boats handle at sea, especially cruising boats between 38′ and 50′, make his consulting service some of the most sought after in the industry. 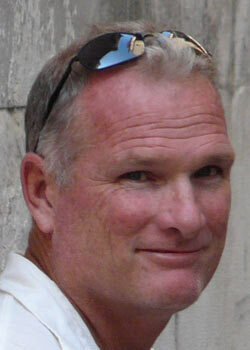 John has published hundreds of magazine, newspaper and online articles over the years and contribute regularly to: Sailing, Southern Boating, Cruising World, Sailjazz.com, The Miami Herald and others. He has also published five books: Cape Horn to Starboard, Flirting With Mermaids, At The Mercy Of The Sea, The Used Boat Notebook, and The Best Used Boat Notebook. 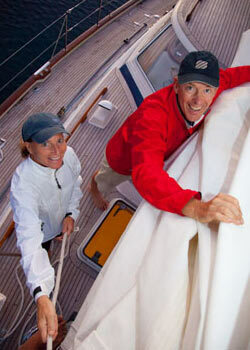 John leads sail training expeditions aboard his 47′ Questzal, where he teaches offshore passage making skills. He gives seminars and workshops on voyaging, boat buying, and celestial navigation. It’s hard to find John, he’s always off in some remote part of the world, sailing, teaching, or writing. 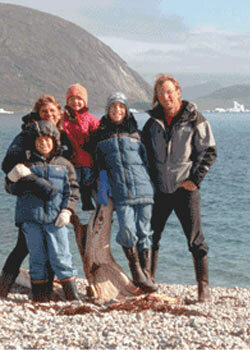 In 1988, Jaja joined Dave aboard Direction, and together they began a seven-year voyage around the world. They were married in Barbados, West Indies, and their three children– Chris, Holly, and Teiga–were born in Australia, New Zealand, and the United States, respectively. Chris and Holly came on board as one-day-old infants. Teiga was born aboard. In 1997, after a short stint living ashore in North Carolina, Dave, Jaja, and the kids–all under the age of seven–set sail again. This time, they moved up to the 33-foot Driver, which the Martins completely refurbished themselves. Their three-year, 11,000-mile voyage, the subject of their book Into the Light, took them north to the pack ice above the Arctic Circle. Since 1995, Dave and Jaja have sold 30 magazine articles and over 80 photographs describing their cruising adventures. They frequently give slide shows and lectures, including a sold-out presentation at the Mystic Seaport Museum. In 2008 they were featured in the PBS documentary Ice Blink. 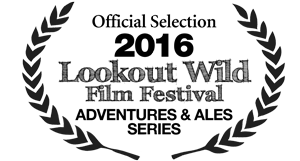 You can purchase or rent their film Iceblink here. Fiamma Straneo grew up in landlocked Milan, Italy, but spent her summers sailing around the Mediterranean with her family. Combining her physics background with an interest in earth sciences and the ocean, she earned a Ph.D. degree at the University of Washington in Seattle. In 1995, right after a two-month cruise on a Russian ship in the middle of the icy Sea of Okhotsk, Straneo participated in the summer Geophysical Fluid Dynamics Program at WHOI. 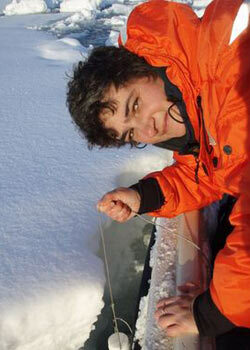 Walking around Eel Pond, discussing science, and swimming every day seemed hard to beat, so she came back to Woods Hole to pursue postdoctoral studies in 1999, where she has used models and observations to understand convection regions, where some of the densest ocean waters are formed, and found herself back in icy waters. When on land, she is an organic farmer, “growing my own food, preserving the biodiversity of our vegetables, and pursuing sustainable living.” Read more about Fiamma and her research at WHIO. Dr. Wallace “J.” Nichols is a scientist, activist, community organizer, author and dad. 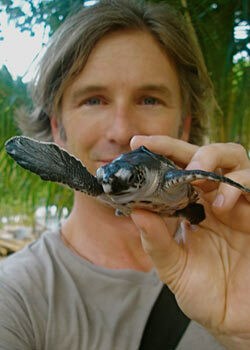 He is a Research Associate at California Academy of Sciences, and the genius behind Blue Marbles. He works to inspire a deeper connection with nature, sometimes simply by walking and talking, other times through writing or images. Science and knowledge can also stoke our fires. But he knows that what really moves people is feeling part of and touching something bigger than ourselves. For more about J, visit www.wallacejnichols.org. Andreas Muenchow works at the University of Delaware as a sea-going physical oceanographer whose puzzles range from the physics of river discharges in Argentina, Siberia, and Delaware to ice-ocean interactions and glaciers off northern Greenland and Canada. He also dabbles in statistics, ocean color remote sensing, computer modeling, and kids himself to be a writer. 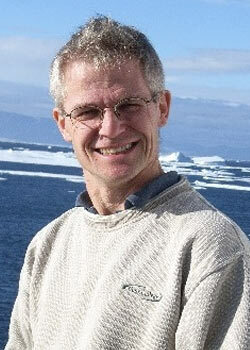 You can follow Andreas at his blog icyseas.org.